The Engineering and Construction division is the largest division within SAWA and provides services within: civil engineering, general contracting, specialist (electromechanical contracting) and turnkey design and build solutions for infrastructure and superstructure projects. SAWA offers a complete, integrated set of solutions to meet the complex needs of the engineering and construction industry. In addition to this, we provide access to information and tools to anticipate the changing market conditions. We also provide the flexibility to respond to the changing market conditions effectively. Whether we are delivering a standalone project or bringing strength as part of an all-SAWA team, the Construction division consistently demonstrates its flexibility, creativity and ability to deliver a standard of service and quality of product that underpins the longevity of its customer relationships. SAWA is your complete solution provider for design, design-build and design, build and operate (DBO) infrastructure, superstructure and construction projects in sub-Saharan Africa. We are one of the few contractors in the region to offer integrated engineering, construction and facilities management capabilities. A single point of accountability with responsibility for the entire project cycle communicates key milestones to stakeholders. This ultimately provides our clients with a sustainable, quality and cost effective Turnkey solution, fully co-ordinated, value engineered and inherently environmentally conscious. 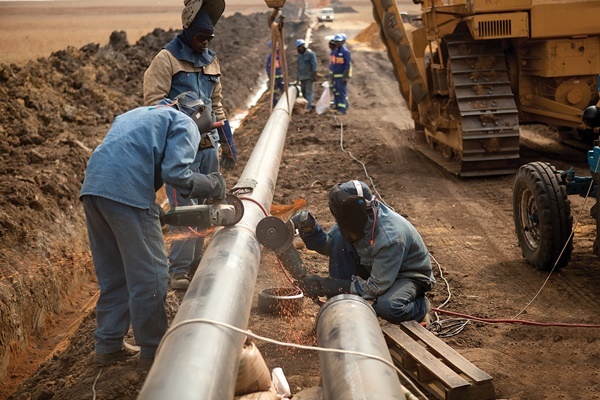 SAWA offers general contracting and electromechanical contracting services – in addition to specialist services – which include deep excavation, groundworks and borehole drilling. A skilled workforce operates the team’s extensive plant and machinery in order to guarantee the best-in-class project delivery. Our reputation has been built on the timely completion of projects within budget. We are also one of few regional contractors to offer comprehensive in-house project conceptualisation and design services.